Cisco Webex has been Cisco’s video conferencing staple for the last decade. Last week Cisco made a series of significant announcements centered around the Webex platform at their Collaboration Summit in Phoenix, AZ. Today’s workforce is changing, becoming more mobile, and Cisco had designed a suite of collaboration tools to cater to the modern workforce. The announced convergence of Spark and Webex is more than a re-branding, it is the technical convergence of both platforms to create a new, simplified collaboration experience on a single platform. Webex Board – the all in one device for team collaboration allows you to wirelessly video and audio conference, present, whiteboard, and annotate shared content. Using Webex Teams you can connect your entire teams through any device. Webex Room Devices – the Webex room series includes fully integrated systems for any sized rooms or use the Webex Room Kits to a regular display into a video conferencing solution. Webex Desk Devices - the Webex DX models provide all-in-one HD video and voice for high-quality video conferencing from your desktop. With the Webex Rooms OS you can whiteboard and annotate shared content from your DX device. This new palm-sized adapter plugs into the back of any TV to enable a low-cost, simple way to share content on the screen, essentially turning any TV into a Webex Teams collaboration space. The Webex Share enables device pairing, presence detection, 802.11ac with enterprise security, and room scheduling capabilities. 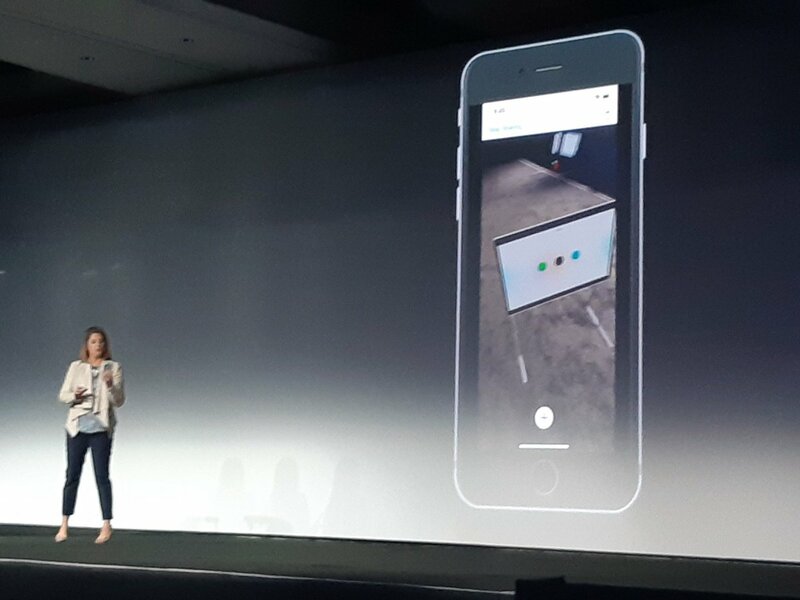 Angie Mistratta did a mixed reality demonstrated at Collab Summit showing how augmented reality can be applied to Webex meetings. AR object sharing for Webex meetings is available for the mobile iOS Webex application on your Apple devices via the Apple AR Kit. 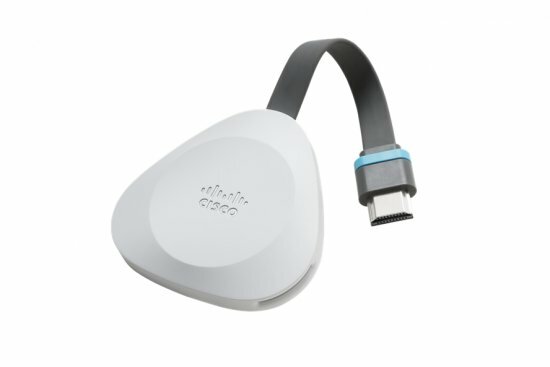 Cisco realizes not all enterprises work exclusively in Webex and they’ve designed a solution to work where we work. With the new Webex integrations you’re able to connect Webex to other platforms, including Microsoft Teams, Google, and Slack. The Microsoft Teams integration allows you to share and join a Webex meeting from Microsoft Teams thread through a linking relationship that takes you into a Webex browser. Here at LookingPoint we are excited about the updates being made to Cisco’s Collaboration portfolio. We see how our customers will benefit from the new consolidated, simplified and streamlined collaboration solutions and a new flexible consumption-based subscription model. 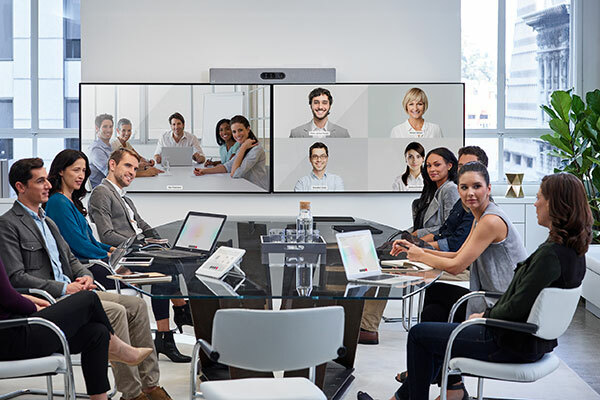 All of this in conjunction with the new Webex Share device that can turn any room with a tv into a conference room is designed to make collaboration seamless and efficient. If you would like to learn more about how your organization can benefit from the new collaboration suite, please reach out to our team!